We cover any size production, large or small. We bring your endeavors to greater heights. Honest illusions is committed to the arts through communications by means of marketing, production and corporate brand building. We take great pride in providing the best quality of productions that our clients can brag about. Feel free to explore our portfolio for a more in depth understanding of what we do and how we do it. 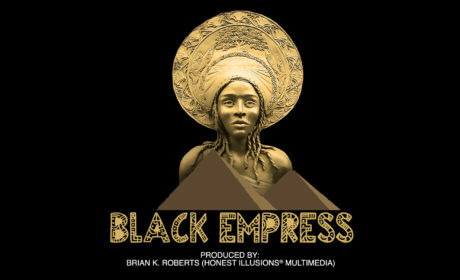 This fall, Honest Illusions is proud o announce the official release of the “Black Empress” riddim track for the lovers of reggae music out there. The track was mixed in our brand new Studio “B” location. We can assemble the best broadcast team to cover your next live event. We have a large professional staff that will ensure that nothing is missed on stage with our variety of camera angles. “Facebook Live” Broadcasting available. Call now for more details. Founded on the principles of excellence, Honest Illusions™ has been serving the tri-state and the caribbean since 2006. We sacrifice for the sake of perfection. Its for that reason we are able to put the seal of guarantee on any work we produce. Contact us now and find out how we can bring your next endeavor to greater heights. Music videos has always been our trademark service. whether we are shooting an Hip-Hop production or a reggae roots video on the streets of Kingston Jamaica, director Brian K. Roberts will ensure you look your best at all times. It’s your special day and we treat you and your spouse as royalty while producing your very own realty show for the day. Our trained professional staff will document every part of your special day creating memories to last a lifetime. Our convenient studio locations and readily available engineers will put your business on a fast track to getting the recognition it deserves, and with our radio ad production options, you will extend your reach to your target audience. Music and sound play a big role in any production; so its for that reason we treat it with top priority. Time really is money in this competitive business of production. Our skilled team members will set up a scene in no time; giving us the leverage to focus more on the actual production and not worrying about where the BNC cable leads to. Whether you are a fresh artists looking for that perfect music video, or simply a product manufacturer looking for a 30sec spot that will certainly grab your audience attention.